The communications requirements by the hospitality industry; be it hotels, resorts, airport lounges or bed & breakfasts; is varied and required a good deal of creative customization. It isn't many a communications medium that is aesthetically and functionally appropriate within such environments. 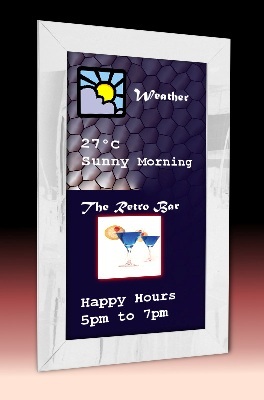 However doPublicity's 'Digital Signage' solutions offer a readily and easily customizable product. Display screens may be blended into the environment with simple, elegant and effective cosmetic installations. Screen creative may be developed to match and enhance the elegance of a property. It is the functionality however, that is most important. Staff within the hospitality industry, are specifically segmented by the jobs they perform. Guests most often do not end up using a great many facilities available in any property, thereby missing out on the full experience of the Effectively communicating the facilities, to as wide a verity of guests would be a full time job for a dedicated team of guest relations executives. Hotel digital signage makes communicating simple. Showcase your property's spa, gym, swimming pool, entertainment and business centers, conference and banquet facilities, restaurants, bars and nightclubs. Also, highlight services that very often get left out of mainstream hospitality like the private masseuse or hair stylist. doPublicity's digital signage's help you provide the all immersive guest experience.